We can't wait for our Spring Weddings to begin! To celebrate the first day of Spring we are featuring our Spring Into Boston custom floral arrangement filled with bright & fragrant seasonal flowers arranged in an envelope vase bound with satin ribbon! 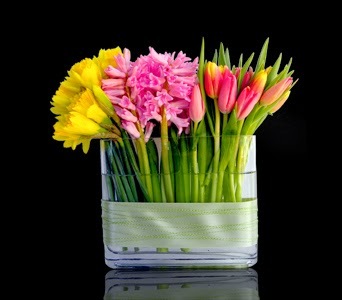 Welcome Spring with our bright & colorful floral designs filled with seasonal flowers such as tulips, daffodils & hyacinths! We created these beautiful custom floral arrangements with bright hues of Spring tulips, cherry blossoms, and anemonies ranunculus for a client's corporate event at the newly renovated Harvard Art Museums. The venue offers a modern setting with ample history. Have a fun, safe & Happy St. Patrick's Day everyone! In honor of St. Patrick's Day, we are staying green with our Featured Item Of The Week! 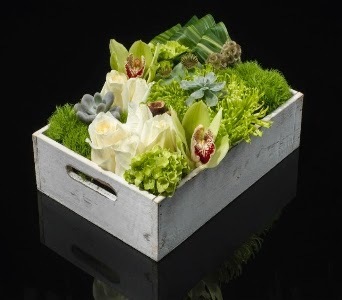 This beautiful design of green blossoms or roses, orchids & hydrangea is displayed in a simple, distressed wood tray for an 'Organically Chic' look. 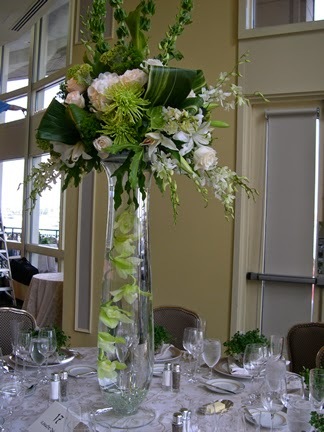 To view this custom floral arrangement, please click here. Take a look at our new Welcome Baby Keepsake Baskets! Irish heritage is a large part of Boston's society & history. To help celebrate the upcoming St. Patrick's Day holiday, take a peak at our Featured Wedding "The Celtic Bride"! To view all of our featured weddings, click here. Go green this week in honor of St. Patrick's Day! 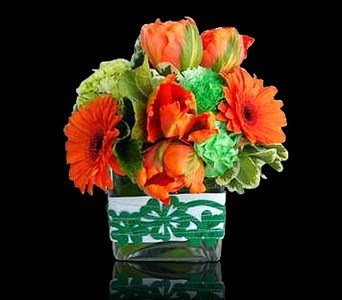 Our Featured Item Of The Week, Luck Of The Irish, includes green & white hydrangea, orange tulips, gerbera daisies & carnations with a decorative clover design. To order this arrangement, click here. The snow won't stop the city of Boston from celebrating one of the largest parades in the United States! Make sure to check the parade route & get your green ready for this year's St. Patrick's Day parade. We are a preferred vendor for a majority of venues in the Greater Boston area for corporate events & tradeshows. Browse our portfolio for your next event! There are so many amazing & beautiful landmarks in the city of Boston that are a wonderful backdrop or setting for your wedding day. 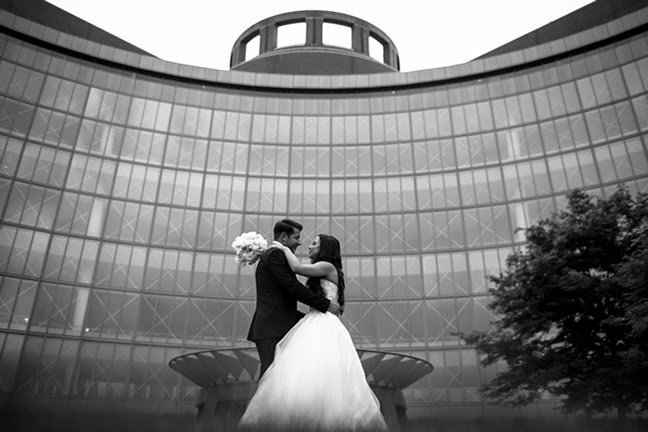 What Boston landmark would you love to have as a part of your BIG day?